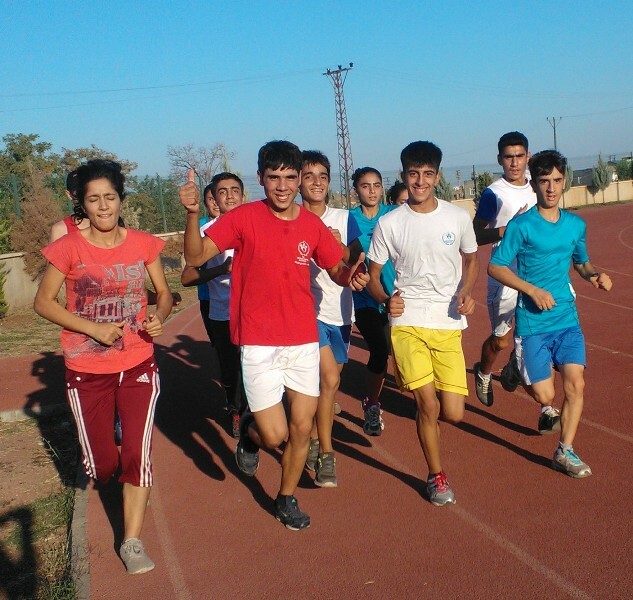 My most recent commissions have been to produce training and publicity materials for the EU project “Start with Sports” (full title ‘Technical Assistance for Supporting Social Inclusion through Sports Education’) in Eastern Turkey. The enthusiastic people at ‘Sporla Basla’ are involving kids, teenagers and young adults in games and sports with elements of cooperation, self-awareness and self-confidence, consideration and even CV writing. It’s been a pleasure to draw for their calendars, training materials and the Disabled Inclusion and Healthy Families projects. I think development through games and sports is a great idea. (The Finnish NGO LiiKe Ry do something similar in Tanzania!) I’ve seen at first hand how people can flourish when they get good at something physical – in my case, I’m talking about the Brazilian martial art capoeira. With games you can really cheer up people, give them self-confidence, remind them that they are valuable, give them a space to make friends… an excellent base for the bigger development goal of a healthy, ingenious population who demand their rights! For the Sports and Inclusion illustrations I was able to travel to Diyarbakir where the project HQ is, and see at first hand who is involved. I’ve lived in Turkey before but hadn’t been to the eastern parts. I gave a capoeira workshop to a motley crew of Inclusion through Sports enthusiasts ranging from nine-year-old girls to some Korean martial arts practitioners asking questions like “Doesn’t anyone win??”. It was a challenge but life’s not supposed to be so easy, eh?